Hettie Bagshot has bitten off more than any cat could chew. As soon as she launches her No. 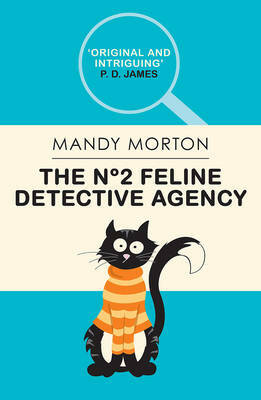 2 Feline Detective Agency, she's bucketed into a case: Furcross, home for slightly older cats, has a nasty spate of bodysnatching, and three of the residents have been stolen from their graves.Hettie and her sidekick, Tilly, set out to reveal the terrible truth. Is Nurse Mogadon involved in a deadly game? Has the haberdashery department of Malkin and Sprinkle become a mortuary? And what flavour will Betty Butter's pie of the week be?In a haze of catnip and pastry, Hettie steers the Furcross Case to its conclusion, but will she get there before the body count rises - and the pies sell out.